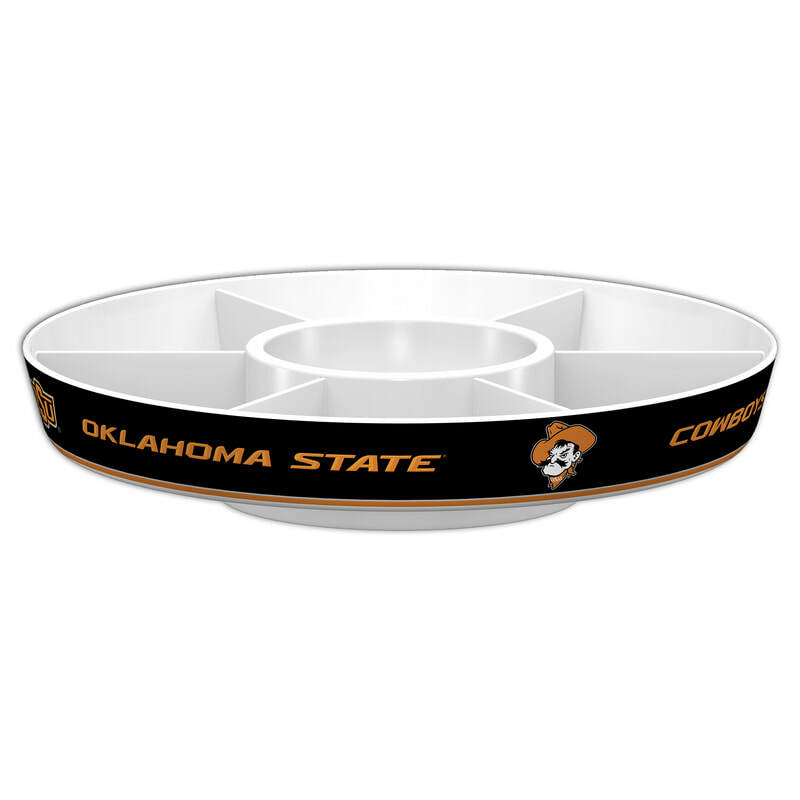 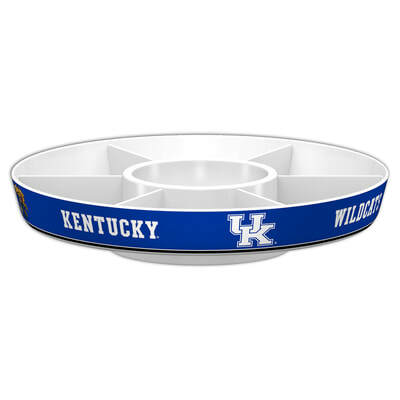 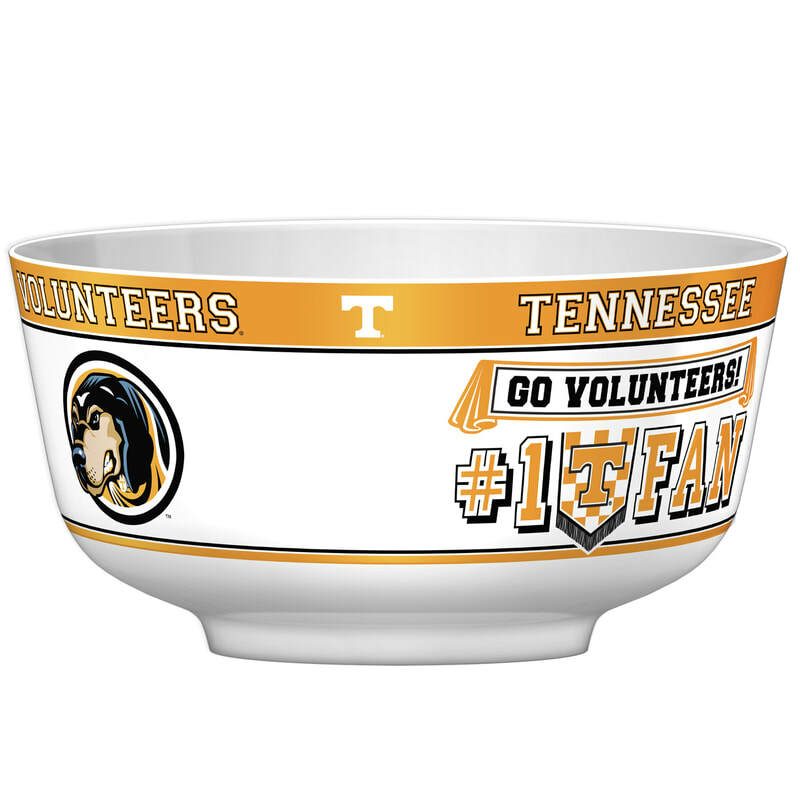 Serve it up with the College Party Platter with an astonishing, ​14.5" diameter including vivid wrap around graphics. The platter includes 6 removable dividers and one dipping bowl. 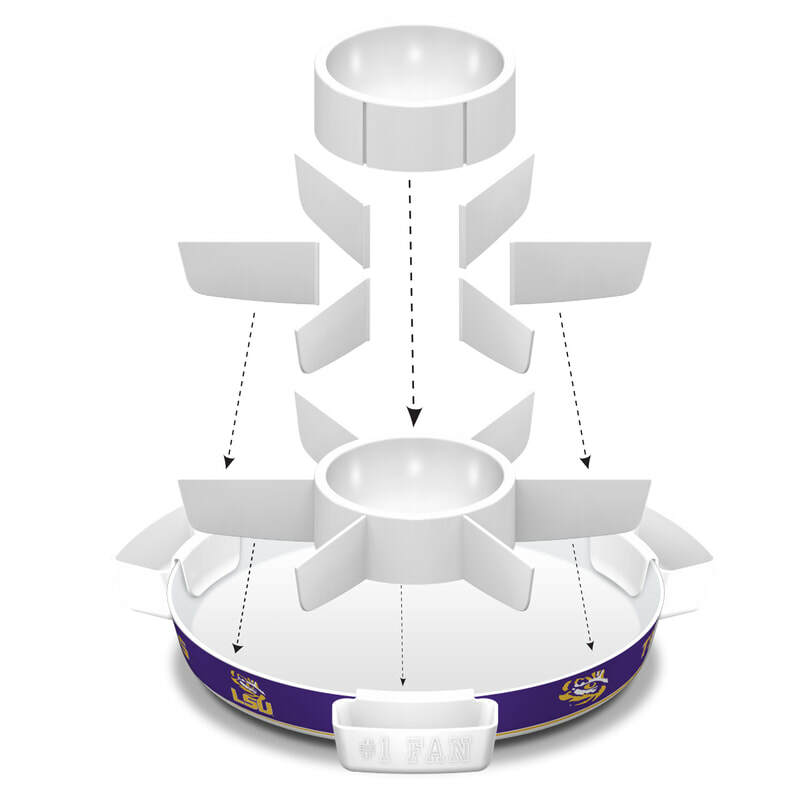 The removable pieces allow you to create up-to seven different serving configurations. Customize your platter even further with the possibility of 13 configurations by adding Sky-Boxes which are perfect for holding your favorite snacks or dips. This party platter is a must have for large parties or celebrations. 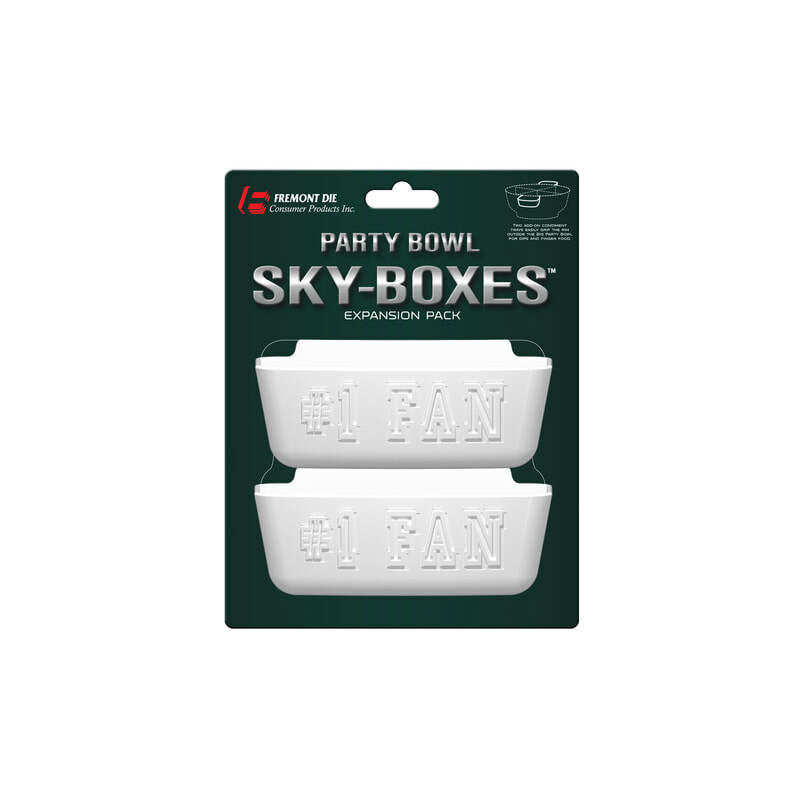 Accessories, including the Sky-Boxes are microwave and dishwasher safe. 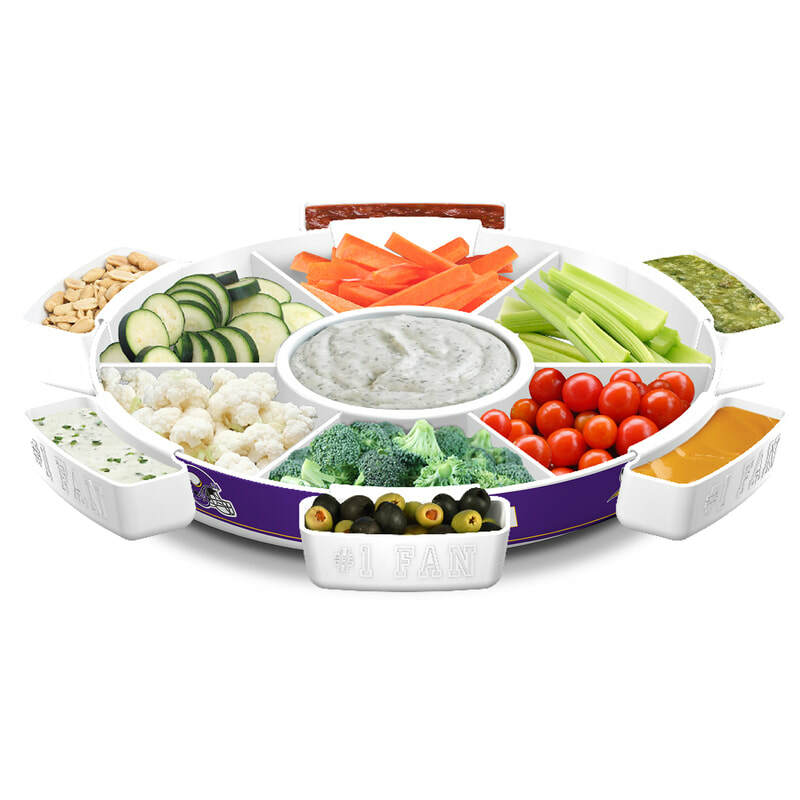 Platters are made up of FDA Certified 21 heavy-duty Melamine. Dishwasher safe. Imported. 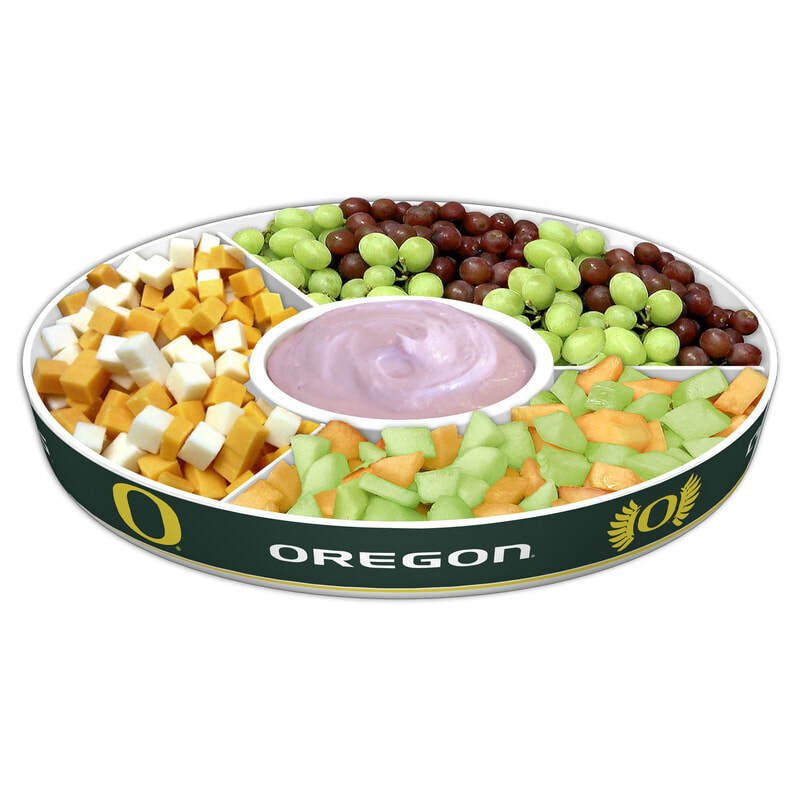 COMPLETE YOUR COLLEGE PARTY PLATTER WITH AN ACCESSORY PACK! Like the College Party Platter? Check out similar products below to add to your collection!